Travels beside a scenic stream to 70' free-falling Moore Cove Falls. Beautiful open cove hardwood forest with fern gardens. 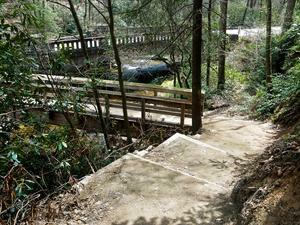 Several plank bridges & log causeways over wet areas. 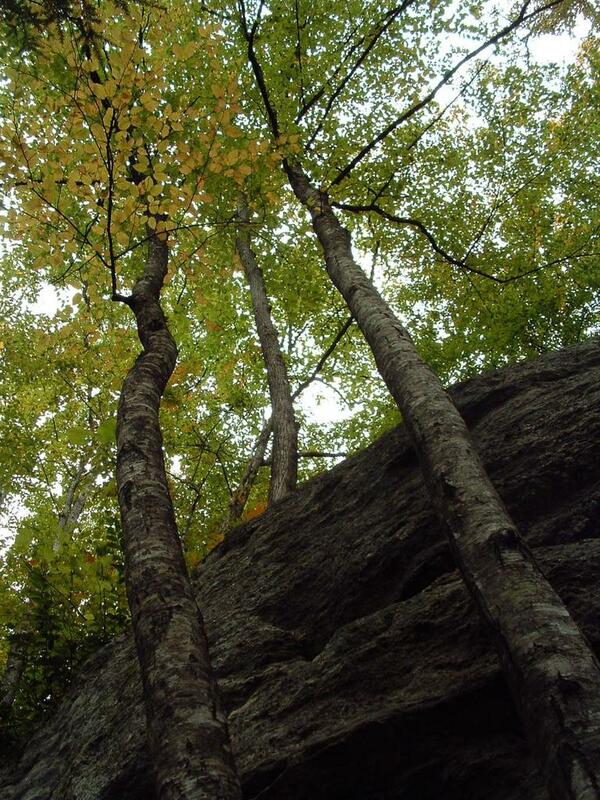 Rock outcroppings. 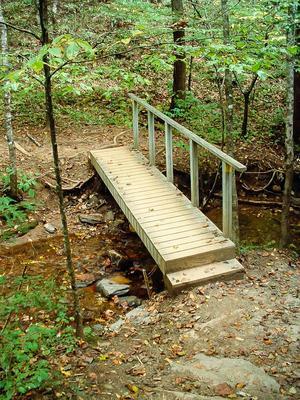 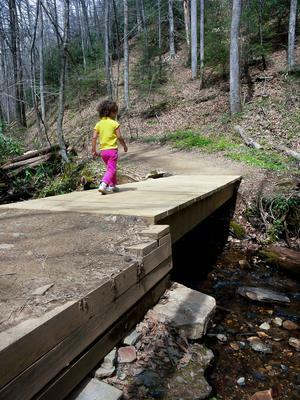 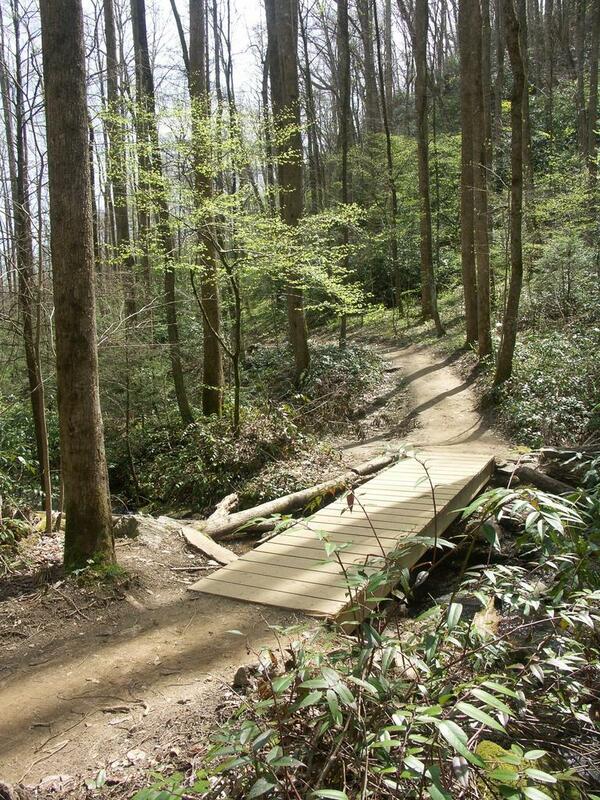 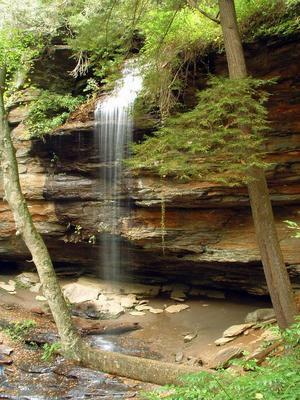 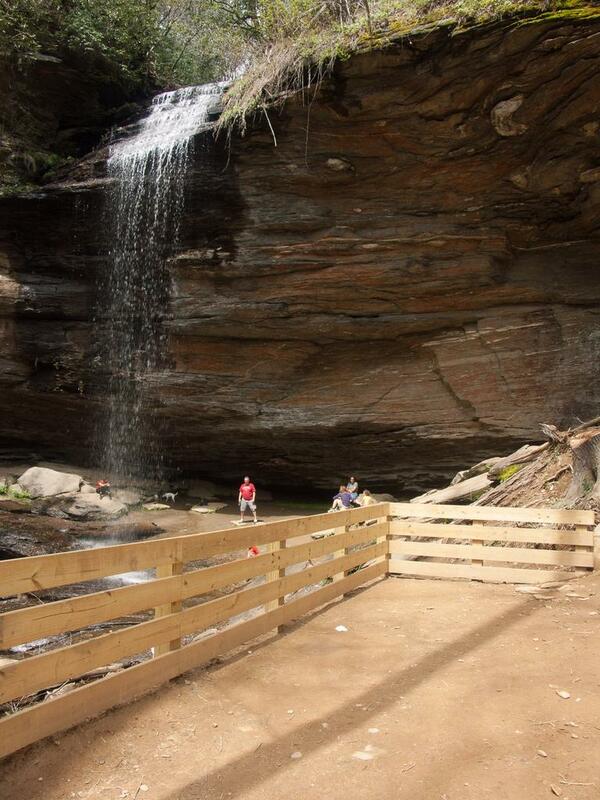 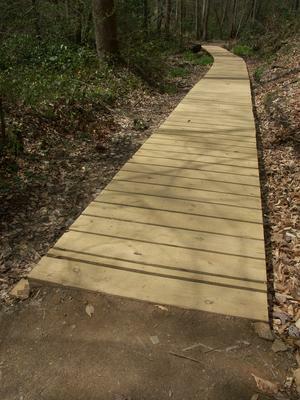 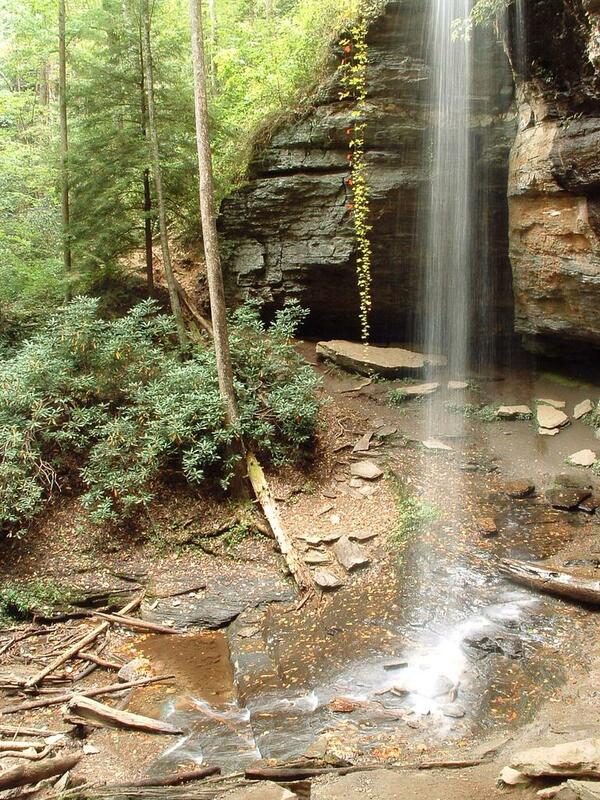 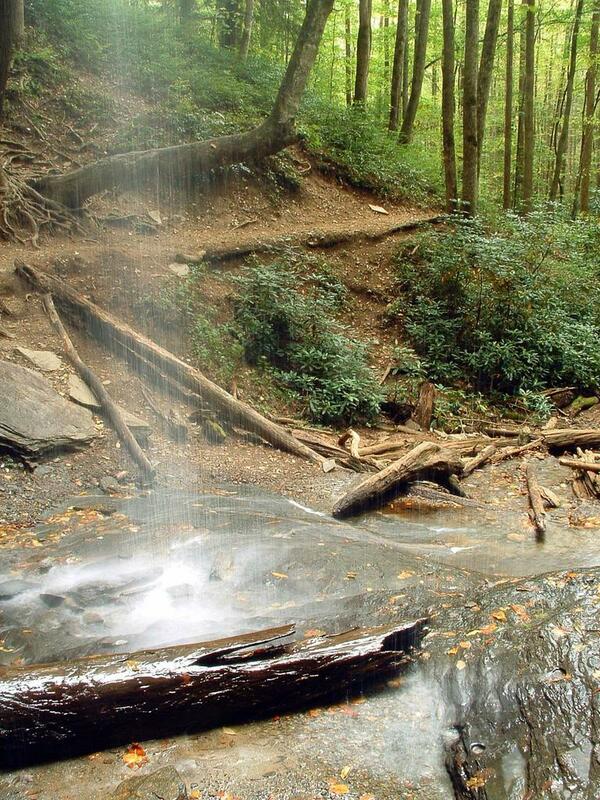 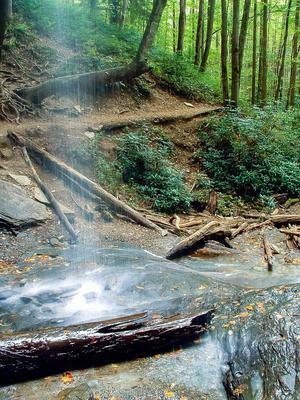 This trail makes an excellent hike for families, and even small children can make it to the falls.